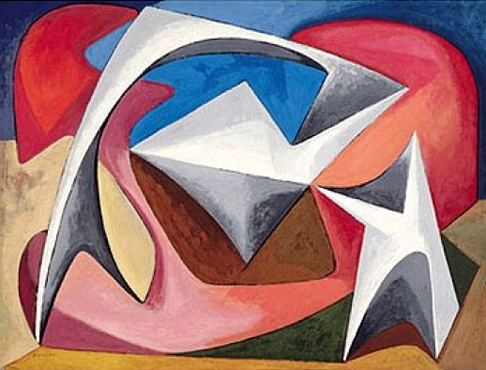 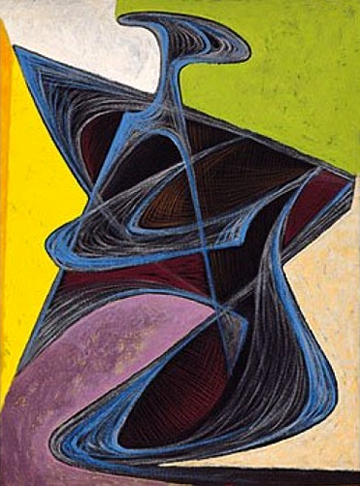 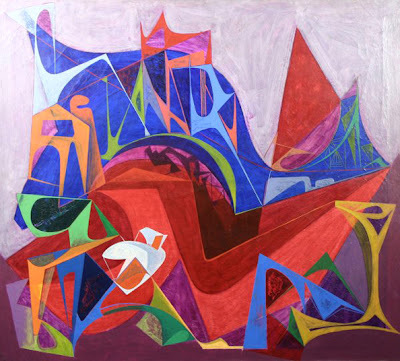 American painter and designer Seymour Franks (1916-1981) was born in New York City. 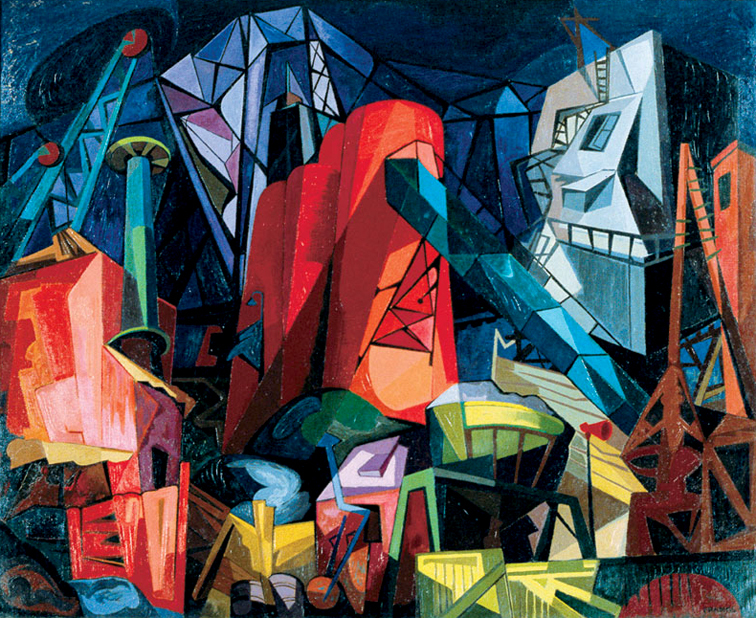 He studied at the National Academy of Design (1937). 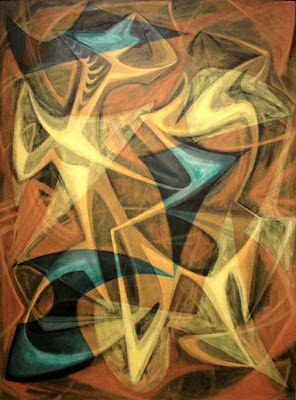 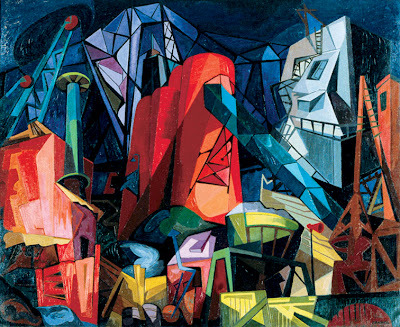 His work was exhibited at The Whitney from 1946-48, 1950, 1952; and the Brooklyn Museum in 1951. 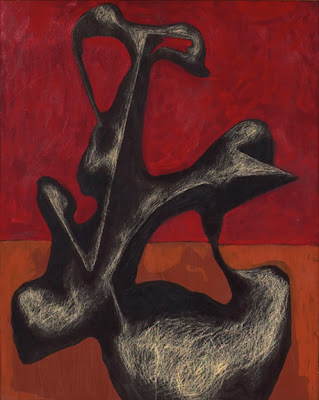 The Peridot Gallery in New York City, known for supporting early American avant-garde artists, displayed his paintings and acted as his dealer during the late 40's and early 50's. 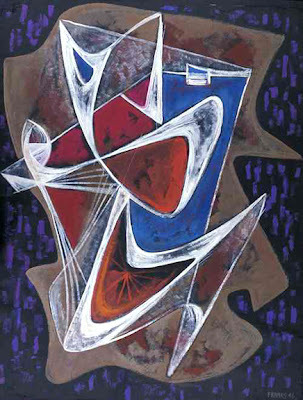 If you are interested in seeing more of Franks' work head over to Caldwell Gallery.